Looking for a new work laptop or looking to replace an old one that's now barely chugging along? Finding one with the right set of features will affect your level of convenience and productivity, and will certainly spell the difference between a fun and frustrating experience. Aside from the usual considerations of size, weight and screen real estate, here we highlight some other key features that will definitely make the slog at your desk much easier. Go for a laptop that is powerful enough to help you multi-task, but mobile enough to carry to and from meetings. 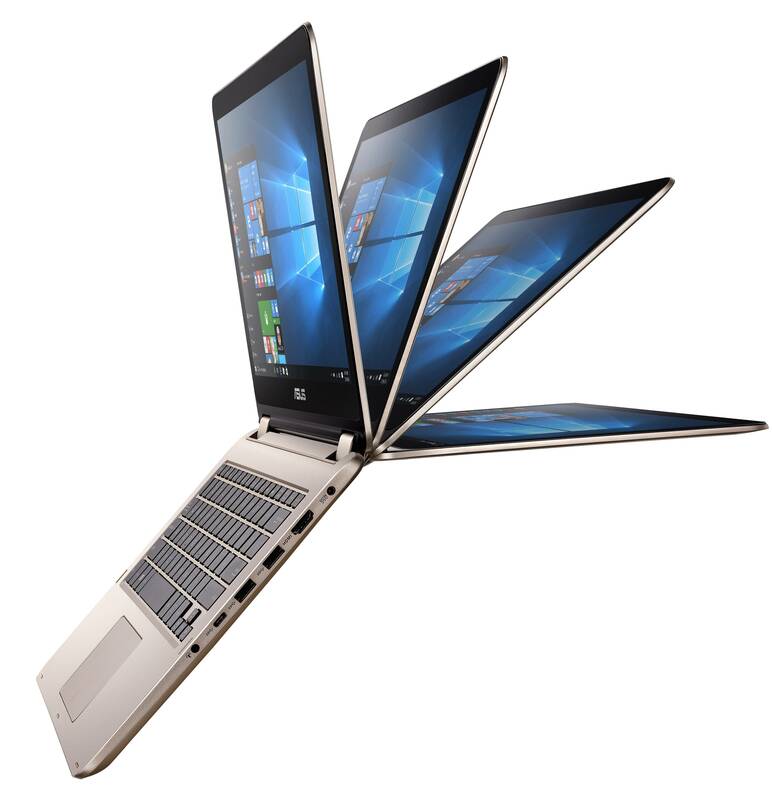 Check out the ASUS VivoBook Flip, a 2-in-1 device featuring alloy-and-steel construction and hinges that can rotate a full 360 degrees—it's a laptop and tablet in one! In tablet form, the VivoBook Flip pairs seamlessly with Windows 10 in Continuum mode, as the display transitions from desktop to tablet layout with fluid ease. And, having a thinness of just 19.9mm, it's light, slim, and stylish through and through. It's gonna come in hand when you have stand-up presentations, that's for sure. In general, battery life in mobile devices increases in each successive generation. Laptops now are capable of outlasting the usual day at the office, so expect 8-10 hours of juice as your baseline, and anything less than that might mean a missed deadline or a last minute mad scramble for a charger. Performance matters. We don't want a laptop that hangs, and is slow and choppy in the middle of a presentation! And when it comes to processing power, we're going with Intel. Other chips are known to consume more power and generate more heat compared to their Intel counterparts, so you can see how this can be a problem in portable devices. 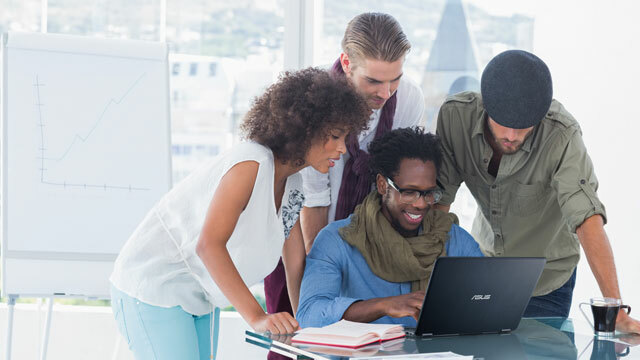 The ASUS VivoBook Flip is powered by the latest Intel® Core™ i5 Processor, which caters to the discerning user’s needs and provides the best bang-for-your-buck value. Also, a lot of laptops still use integrated graphics, which puts a lot of strain on your system when you use photo- and video-editing apps, play games, and even when you watch videos. If you intend to do any of these (aside from your work-related operations,) don’t skimp and make sure you have a separate graphics card in your machine to distribute the load more evenly. 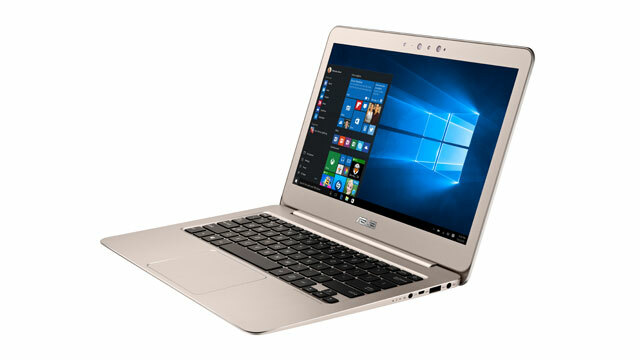 The ASUS VivoBook Flip, for example, has a NVIDIA® GeForce™ 920M high-performance graphic built into it, for seamless graphics processing. Look for a laptop that's more than just a rectangle with buttons. You want your choice to to be edgy, stylish, and de rigueur. Going for a 2-in-1 device not only says you're practical, but that you also place a high premium on a device that looks cool. 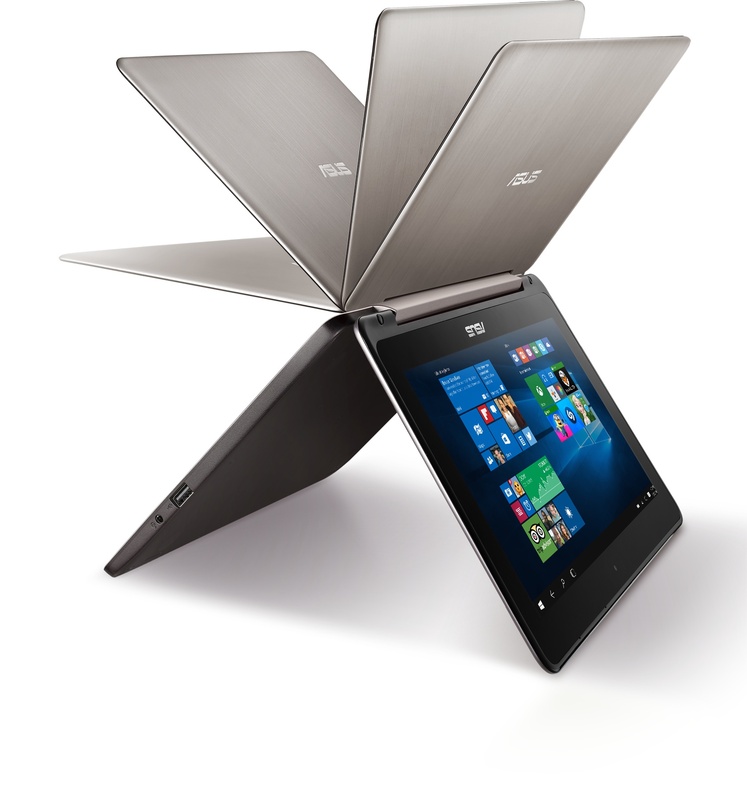 The ASUS VivoBook Flip is just that, pairing multi-functionality with awesome styling. Be sure to get questions about it after you knock that board meeting presentation out of the park. The ASUS VivoBook Flip has everything you need in a work laptop, and definitely more (it can transform into a tablet, for crissakes!) And, at only P22,995, it won't break the bank. Click here to score one from an authorized ASUS reseller, and make life at work that much simpler.